Christmas is a time for the family to get together, catch up on the news, dress up, eat fine foods and enjoy the party. The festivities begin on December 22 when the huge El Gordo (big one) lottery is held. Just about every person is Spain will have bought a ticket or a share of a ticket in the hope of winning millions of euros. Many tickets are sold to syndicates and virtually the entire population of a town or village can become millionaires overnight. Two days later, the tables are laden with food for a feast fit for a King. 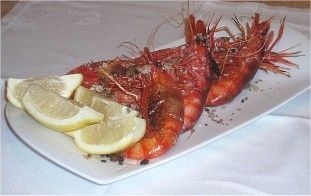 Lamb, fish and the exquisite Denia prawns are firm favourites at this time of year. A type of nougat called turron is a traditional Christmas sweet. The best turrons are made in the Alicante region, with Jijona being a particularly fine example. There are many types of turron, some include chocolate or almonds, some are hard and others are soft. On December 24, many families will wrap up and head for Midnight Mass to celebrate the birth of Christ. The following day, presents will be exchanged. 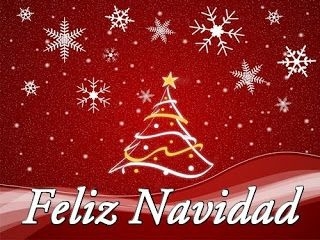 Children in Spain are lucky enough to receive their gifts on Christmas Day and again on January 6 for the arrival of the Three Kings. Three days later is Santos Innocentes or Day of the Holy Innocents, which is Spain's version of April Fool's Day when people play tricks. Don't get caught out! 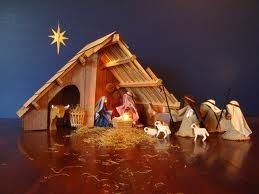 During Christmas many churches and cathedrals will stage a splendid Christmas crib or belen. These are exquisite works of art with hundreds of characters and animals, depicting Mary and Joseph arriving in Bethlehem and Jesus's birth in a humble stable. 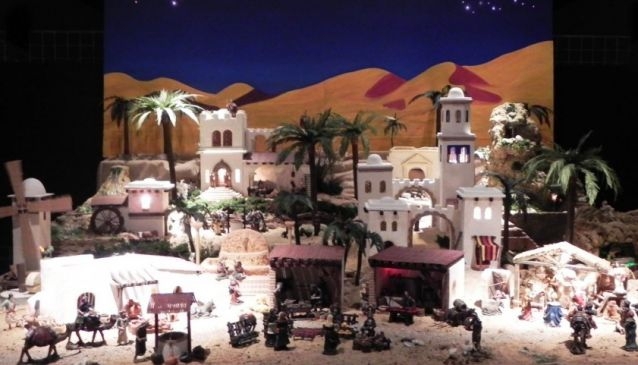 Christmas can be enjoyed all the year in Alicante at the Belenes Museum with its fabulous collection of Nativity scenes. The biggest celebration is held on New Year's Eve. Again food plays a major part. Many restaurants will devise special menus for the evening. Again shellfish, fish and lamb can take centre-stage. Just before midnight, everyone will get ready to eat their lucky grapes - one grape for each chime of the bell counting down to midnight. Make a wish, eat the grapes in time and it will bring good luck. Some supermarkets sell a tin of special New Year grapes which are peeled and seedless so they are easier to go down. All of this is washed down with a glass of Cava and a fireworks display to see in the New Year. The fun starts up again on January 5 on the eve of the Epiphany for the arrival of the Three Kings. Most towns and cities stage splendid parades for the arrival of the Three Kings. In some Costa Blana resorts, they will arrive by boat. In other towns, they are on horseback. Sometimes they are accompanied by camels or even elephants. The Kings will throw sweets for the children. The following morning, children will wake up to find the Kings have left more presents for them (but only if they've been good). After that, it's back to school for the children, back to work and Christmas is over for another year.